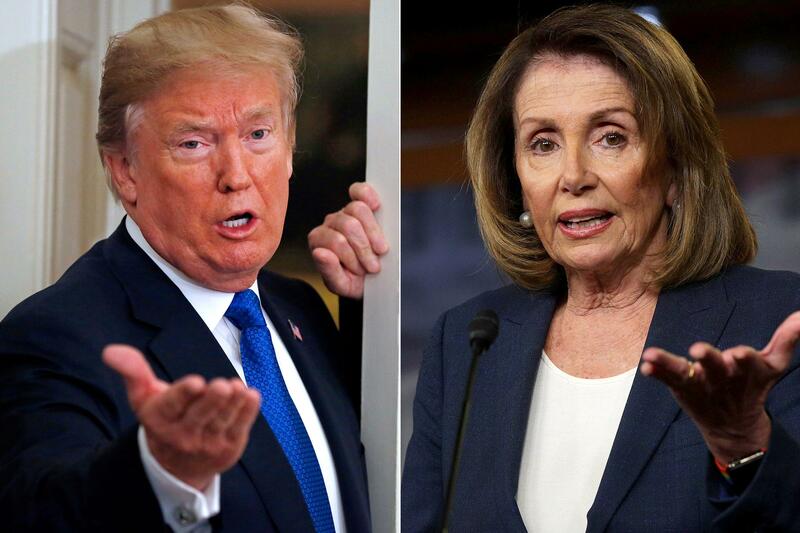 WASHINGTON, Jan. 17 (CGTN) -- U.S. President Donald Trump on Thursday told Speaker Nancy Pelosi that her planned foreign trip has been postponed, one day after the top House Democrat asked him to delay the State of the Union address due to the ongoing partial government shutdown. "Due to the Shutdown, I am sorry to inform you that your trip to Brussels, Egypt and Afghanistan has been postponed," Trump wrote in a letter to Pelosi, dismissing the congressional delegation trip she intended to take to the countries as a "public relations event." "We will reschedule this seven-day excursion when the Shutdown is over," said Trump. "I also feel that, during this period, it would be better if you were in Washington negotiating with me and joining the Strong Border Security movement to end the Shutdown," the president wrote. Trump didn't mention Pelosi's request to move the date of his speech scheduled for January 29. Homeland Security Secretary Kirstjen Nielsen on Wednesday pushed back on Pelosi's request that Trump should delay his State of the Union address since federal agencies designated to provide security for the event have not been funded due to a partial government shutdown. "The Department of Homeland Security and the U.S. Secret Service are fully prepared to support and secure the State of the Union," Nielsen said on Twitter. The shutdown started on December 22 due to a budget standoff in which Trump requested 5.7 billion U.S. dollars for building a wall along the U.S.-Mexico border, but congressional Democrats rejected his demand.